The firm J.D. Power and Associates released the results of its annual study about the cars and reliable brands of 2013, in which Lexus and Porsche brands occupy the top positions with a score of 71 and 94 respectively. These renowned brands are followed by Lincoln, Toyota and Mercedes-Benz with a greater difference in qualifying. 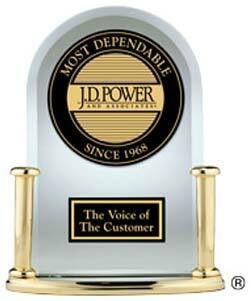 Most Dependable Cars Award from J.D. Power And Associates - The Voice of The Customer. The survey measures problems experienced by owners of vehicles with three-year-old (2010 models) during the past 12 months. The reliability rating is determined by the number of issues presented for every 100 units, the lower is the score reflects a better quality. Among all the manufacturers, Toyota Motor Corporation is the one that continues to perform better in terms of long term reliability as it won seven awards with the Lexus ES 350, RX; the Scion xB, xD and the Toyota Prius, Sienna and RAV4. The Japanese company is followed by General Motors with four awards given to the Buick Lucerne, Chevrolet Camaro, Tahoe and GMC Sierra HD. Meanwhile American Honda Motor Corporation received two awards for the Acura RDX and Honda Crosstour. Other vehicles that obtained accolades in its segment were the Audi A6, Ford Ranger, Hyundai Sonata, Mazda MX-5 Miata and the Nissan Z. If you want to see the whole list of the most dependable cars classified by categories at the J.D. Power site, click here. If you want to learn more about this 2013 U.S. vehicle dependability study results, how are they measured, how scores are assigned, etc., click here. Hey John, any idea which of the winners are the cheapest ones available right now in the market? Best car deals and a lot of affordable pre-owned vehicle available! Love it! I saw the whole list and I didn't see the Toyota Camry, this is weird, surely it is giving away its recognitions by pure kindness. American automakers occupying the last positions of the table, why? Looking for some affordable car for my son!